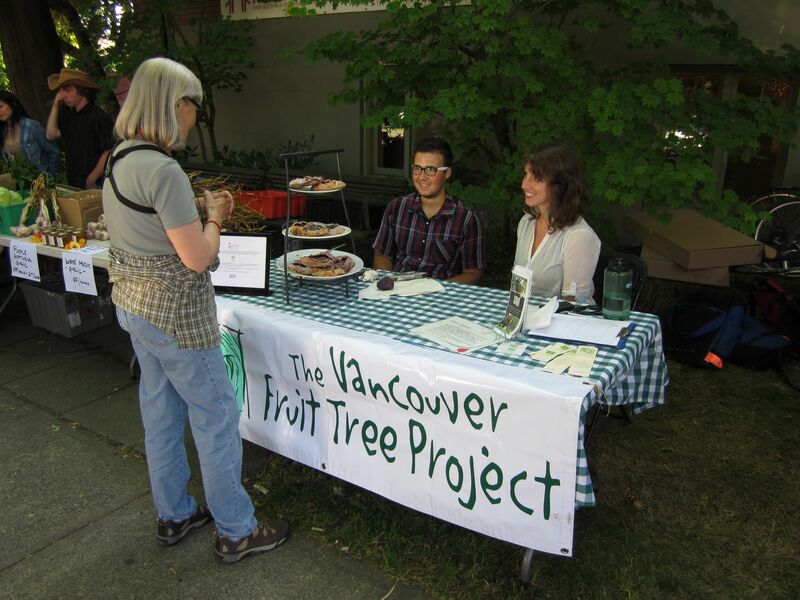 As part of the Grandview Woodland Food Connection’s outreach, we sit as an advisory member to the Vancouver Fruit Tree Project, who provide fruit to Britannia Community Centre food programs. 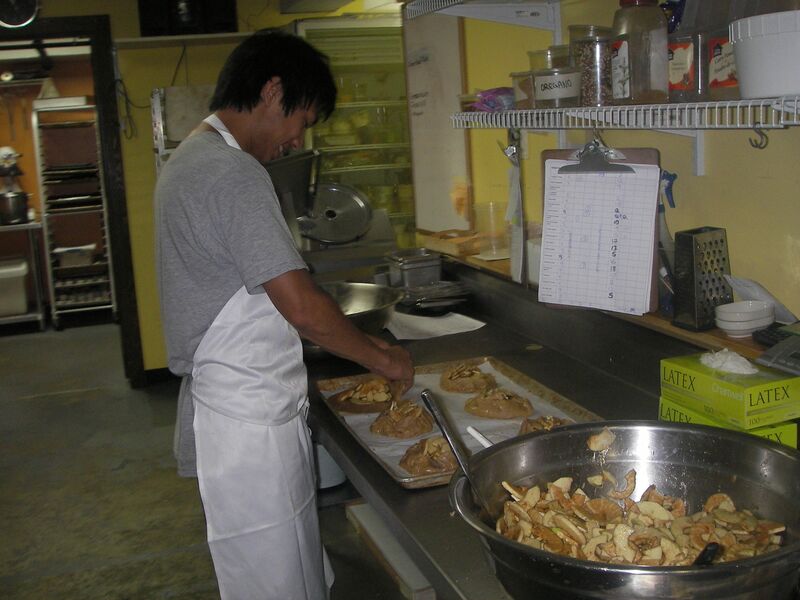 In supporting the VFTP, we have taken a lead role is the creation of an exciting new value added food social enterprise called Treehouse Treats. 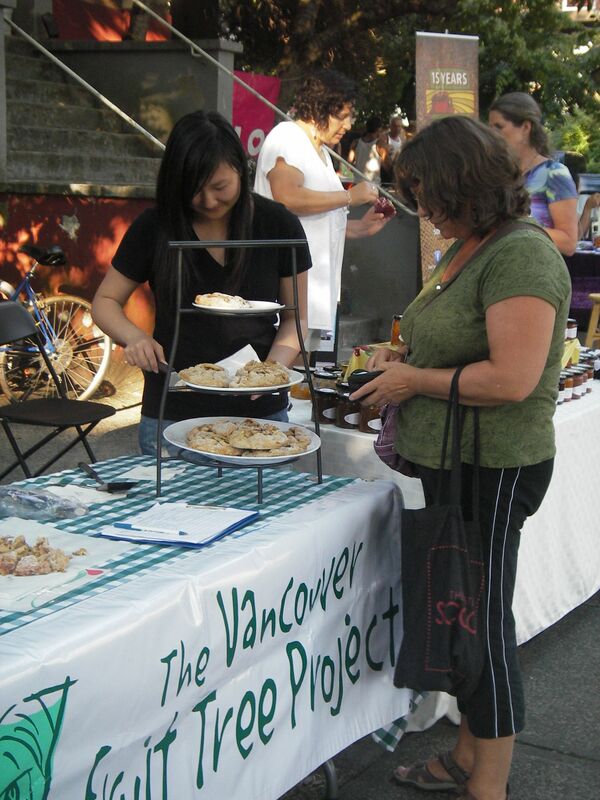 The VFTP harvests unwanted fruit in Vancouver and we are using some to bake galettes (mini pies) and have sold them at the Kits Farmer’s Pocket Market. After a very positive response we are continuing this project throughout the rest of the year at the Nat Bailey Winter Farmer’s Market every two weeks. This project supports the VFTP’s commitment to build their capacity and financial sustainability towards less dependence on grants. Building their capacity has meant collaborating with partners to bring this project to life and we are thrilled to be working with both Savoury City, who are providing kitchen facilities and the EYA who are providing opportunities for youth to learn valuable food processing and marketing experience. 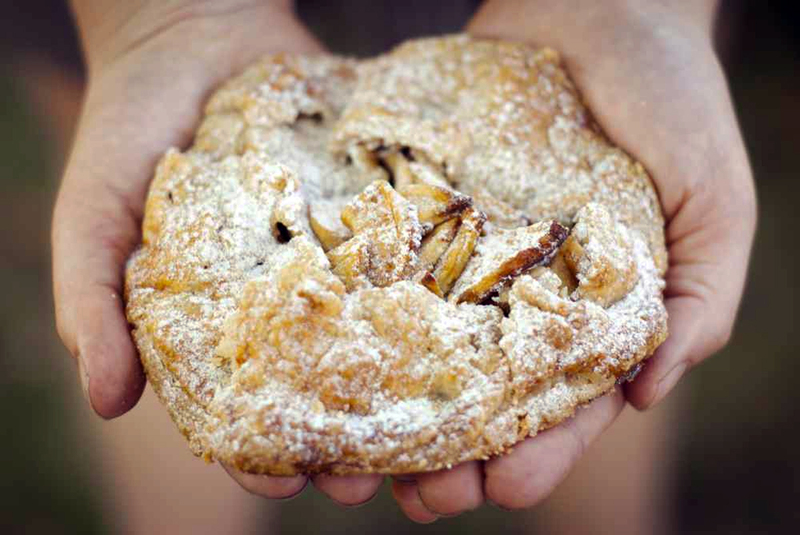 Please show your support and buy galettes at the EYA / VFTP table at the Winter Farmer’s Market.